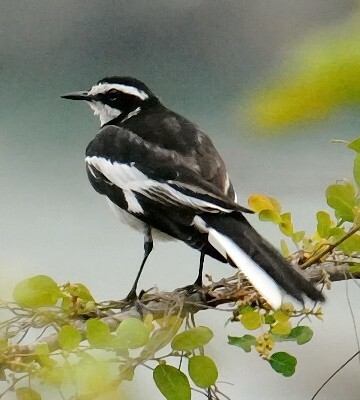 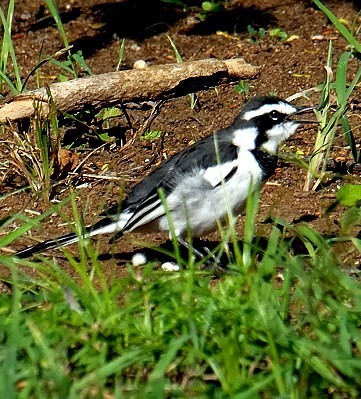 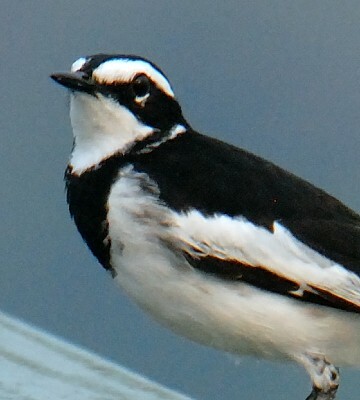 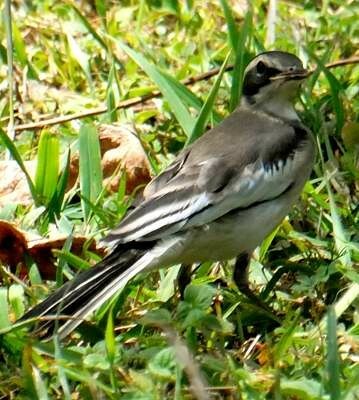 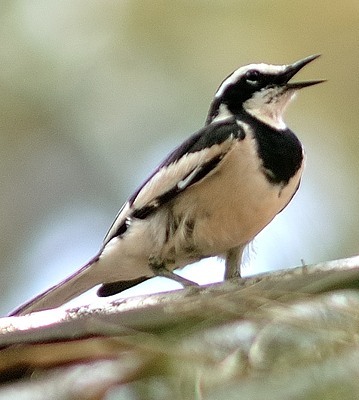 The adult African pied wagtail is all black and white. 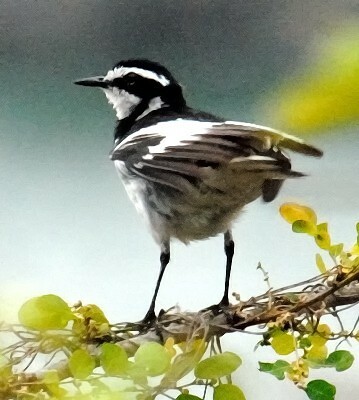 The large white wing patches separate it easily from the other wagtails in our area. 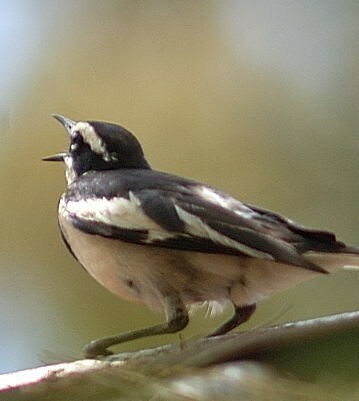 The immature is grey and the juvenile, brown; see above and the slideshow. 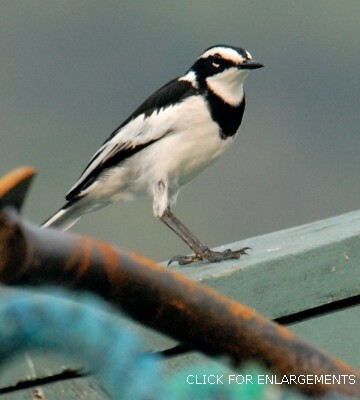 Click the photo above to eleven enlargements.